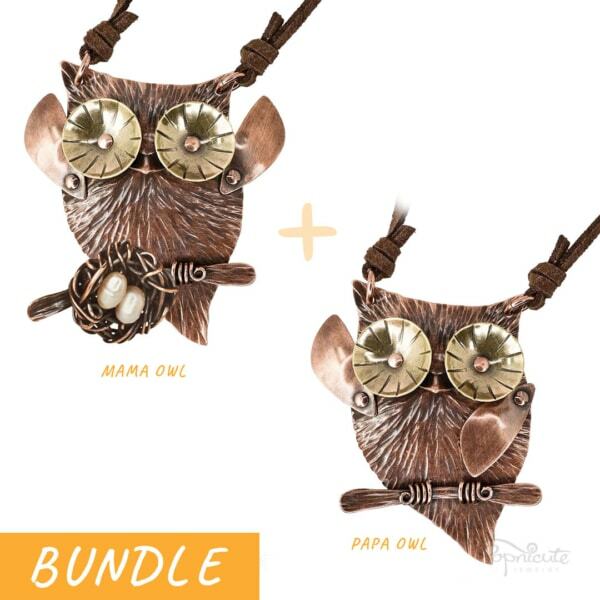 Earn 1300 Cute Points upon purchasing this product. 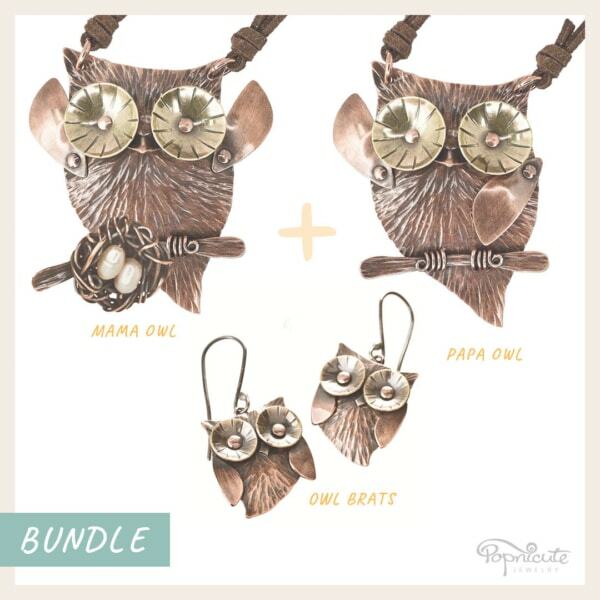 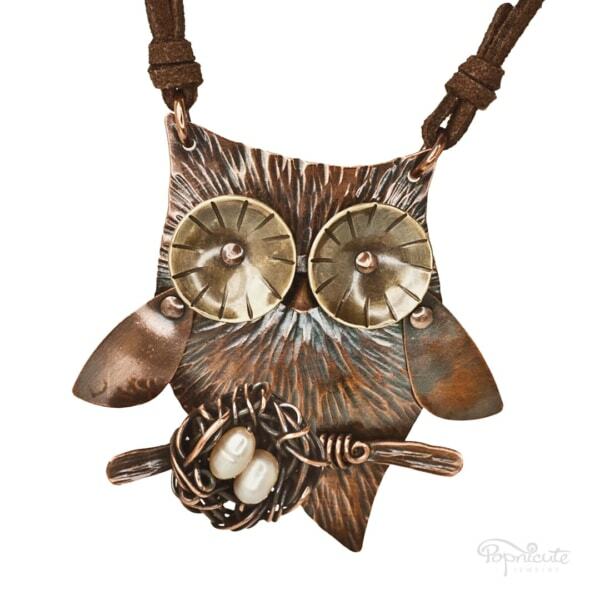 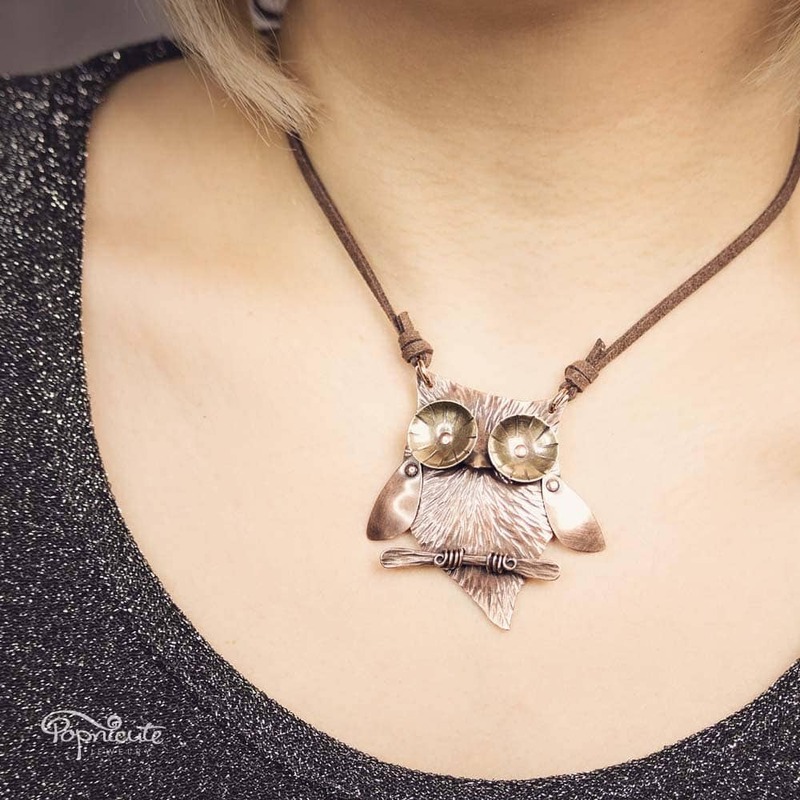 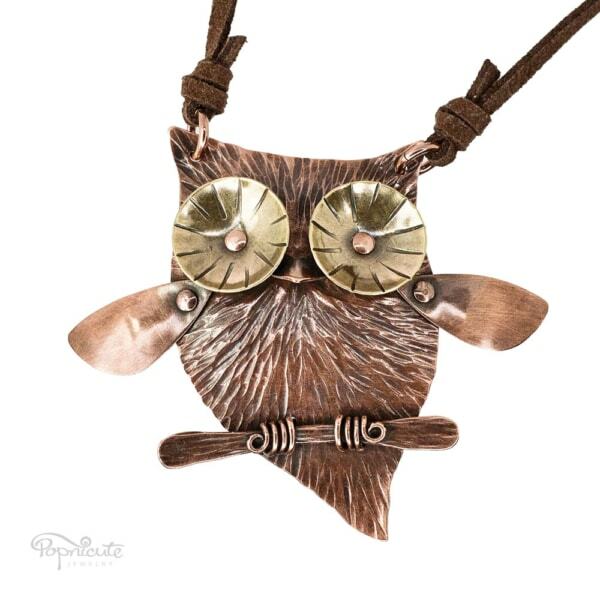 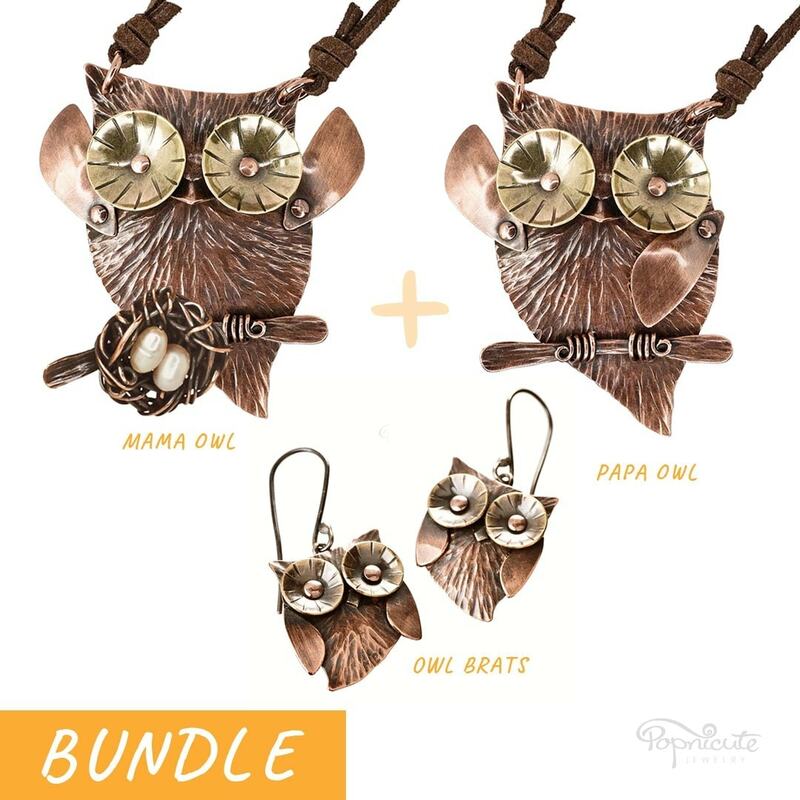 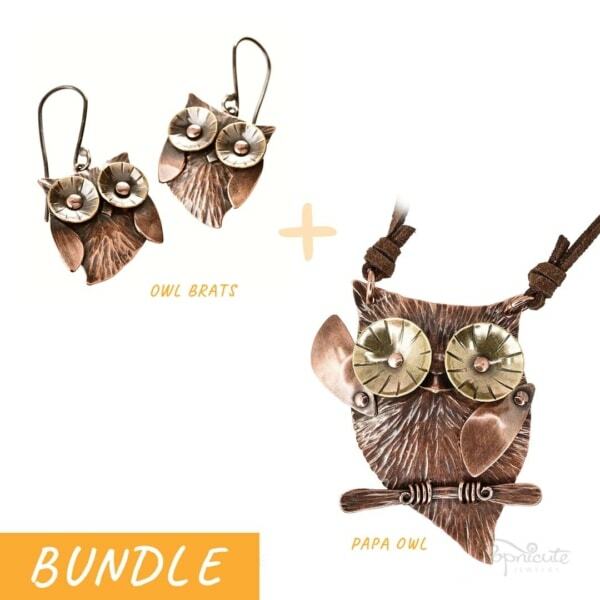 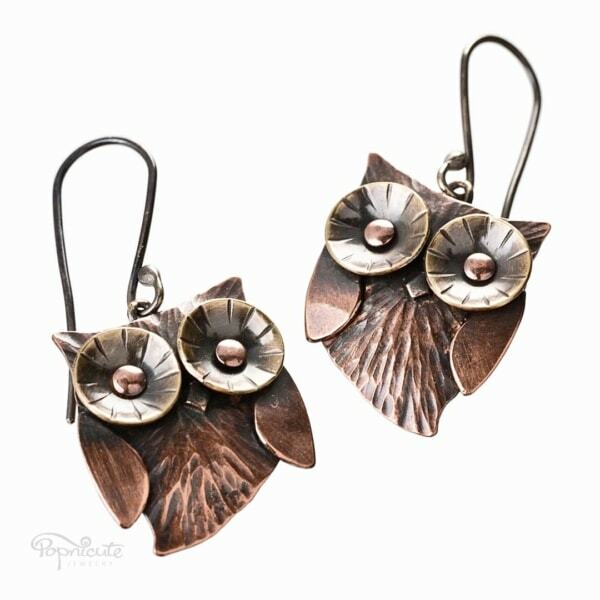 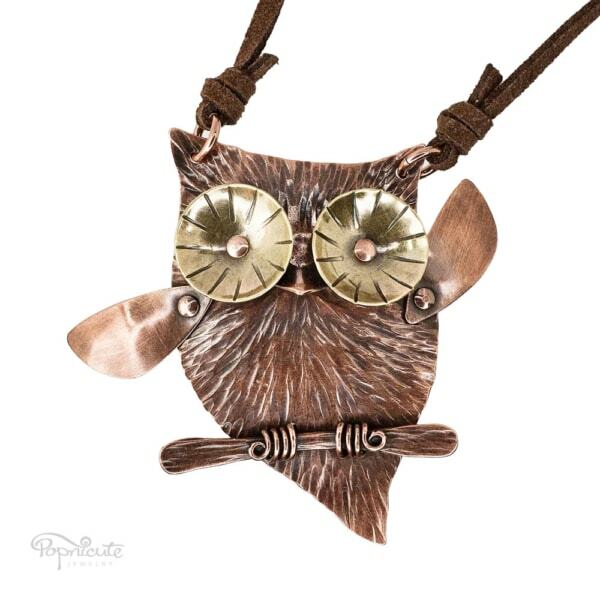 Copper owl jewelry set of Mama Owl + Papa Owl + Hoot Brats together to complete your owl jewelry collection. 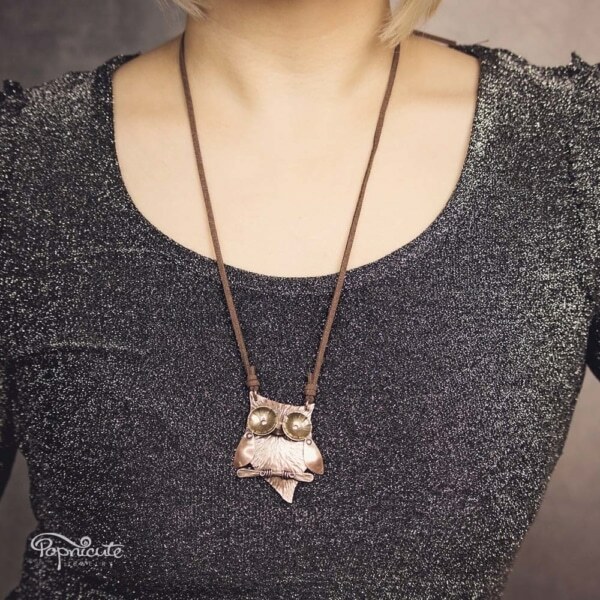 Original design by Popnicute Jewelry. 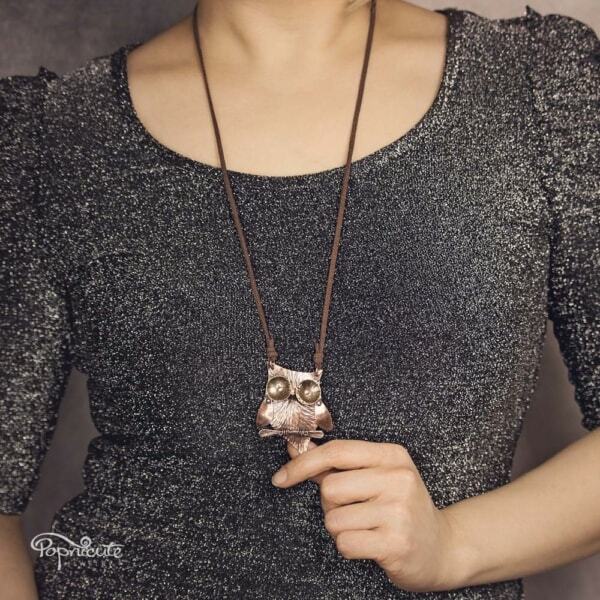 Stamped with POPNICUTE signature on the back of the owl pendant. For owl collectors, owl lovers, expectant mothers, Mother’s Day gift.